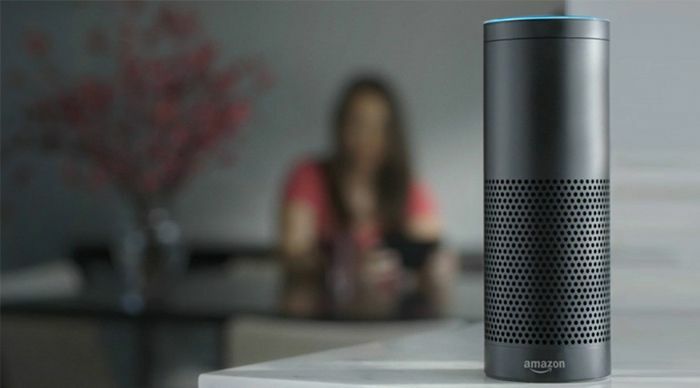 The second generation Amazon Echo is a new necessity for seniors. It uses the Alexa AI technology to help older generations glide through their daily routines with much more ease. Newly named the Amazon Echo Silver, the product is designed specifically to cater to the needs of seniors. Much more than just a wireless speaker, the Amazon Alexa devices use the sound of your voice to make your daily life much more convenient. The technology can answer questions, order Domino’s pizza to your doorstep, help you communicate with others, create lists, shop online, and so much more. What is Alexa for Seniors? Interestingly, Amazon named Alexa after Alexandria’s ancient library and is now Amazon’s voice-control system. Using a trigger word followed by a request, the Amazon smart products do anything from turning off the lights to playing music. Trigger words are either “Alexa”, “Echo”, “Amazon”, or “Computer”. 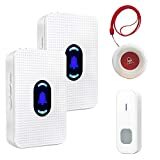 While these products only use WiFi, and there is no need for batteries, but you need a strong and consistent WiFi connection in order to get the most use out of your device. You also need to purchase an Amazon Prime account to use your Amazon smart device. Amazon is partnered with AARP to design and release the new Amazon Echo Silver which is designed specifically for the older generation with the idea that it allows seniors to request help whenever they need it in their homes. Unlike other Amazon smart products, the Echo Silver has a wood-grain barrel and dressed up with gold accents. 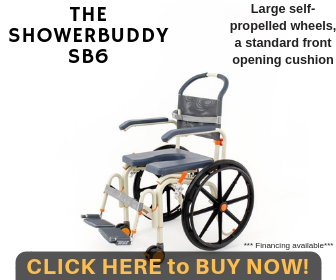 It even has its own matching stand, intentionally designed to match any retirement-aged home environment. Regardless of age, there are many compelling reasons why you might consider buying an Alexa. Check out the list below for more information about Alexa’s abilities so that you can add one of the products to your home today. 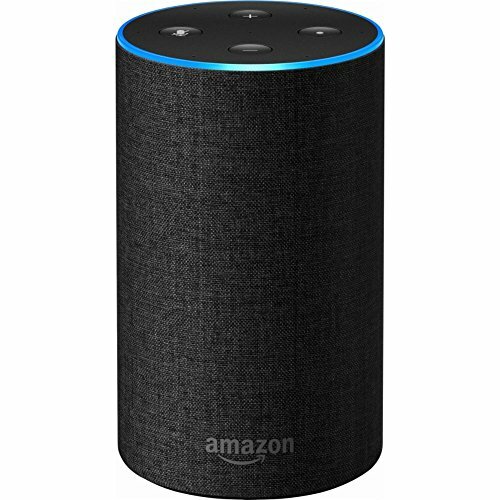 Alexa products are compatible with many other smart gadgets like lighting, outlets, thermostats, cameras, TVs, and audio and home theaters to name a few. Amazon’s smart home section has a plethora of available smart products that you can pair with Alexa to make your home even more convenient and get the best use out of your Alexa product. Alexa quickly becomes your new personal assistant by setting reminders and alarms for medications, appointments, birthdays, and social or family events. Your new personal assistant can make grocery lists and send them to your smartphone for easy access while you’re at the grocery store. You can also order items from Amazon online. If you have a Prime account, you can ask Alexa to find an item, list the price, and have it sent to you. Currently, this does, unfortunately, exclude clothing and jewelry. 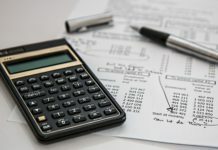 She also keeps you updated with any Prime discounts or deals that might peak your interest, and give you the option to set up recurring payments on the products that you use regularly. And for added convenience and ease, Alexa can call an Uber for you. 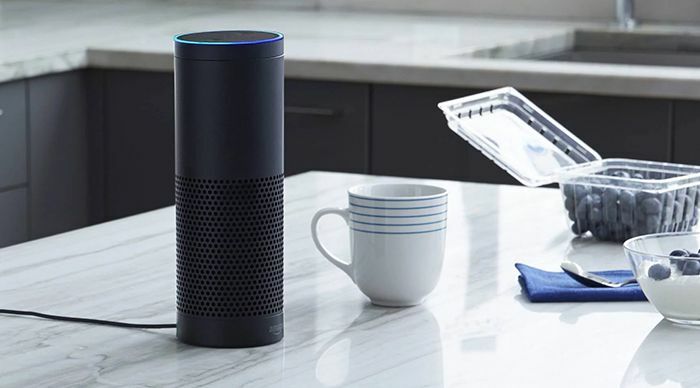 Alexa’s skills are often referred to as mini apps, and the Echo has over 8,000 of those apps that guides you in partaking in your favorite activities and interests. 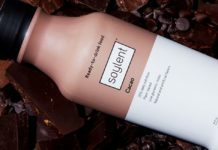 Some of those programs include IFTTT, DrinkBoy, the homework helper skill, and for those of you who live near a beach, the Tide skill which is useful for surfers. Alexa can help you on nearly any adventure or activity by answering your inquisition from your own home. In addition to her surplus of mini apps, new skills are added to Alexa all the time to keep up with your curiosity and new activities. 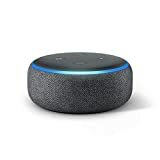 Again, Alexa acts as your personal assistant, but rather than helping with appointments and reminders, she helps you make tasty meals in the kitchen. She sets timers for your baking needs, converts measurements to what is most convenient for you, and also has the ability to read Dump Dinners: The Absolute Best Dump Dinners Cookbook with 75 Amazingly Easy Recipes for days that you don’t have as much time to prepare food. If you worry about setting up smart technology in your apartment because it’s not technically your space to decorate and tinker with, Amazon Echo is a solid option. Echo allows you to automate lights and switches for a lower cost and with more ease. You won’t need to rewire or adapt anything in your apartment to make this system work. According to the Bureau of Justice Statistics, robbers and intruders are likely to target older folks. They found that, “between the years 2003 and 2013, the ratio of the estimates of property crime to violent crime was higher for the elderly (13 to 1) than for younger persons ages 25 to 49 (3 to 1) and persons ages 50 to 64 (5 to 1)." 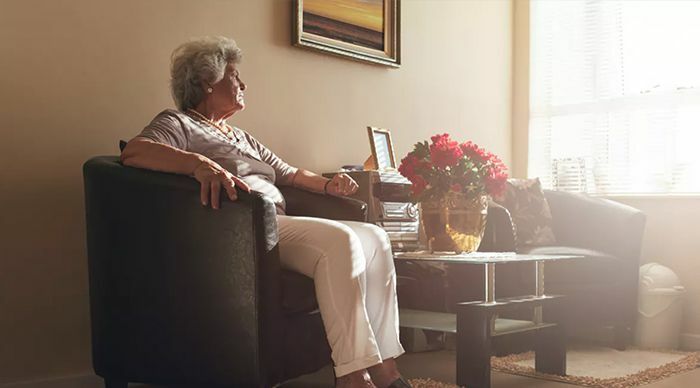 Echo can act as a security measure for seniors by voice controlling security equipment. You can say things like “Alexa, check my alarm status”.This makes security measures much more simple to use for seniors. Alexa can also hear and respond to requests even if you are standing across the room, adding to the list of security and safety measures. Furthermore, you can let Alexa know when you are leaving the house and then confirm that you made it back home so that family members or loved ones know you are safe. If you are worried about an elderly's health who is living on their own, check up on them using the “drop-in” feature on their Alexa device. You can instantly connect with a family member or friend through audio and/or video. To set up this feature, you must first indicate who has permission to “drop-in” from your list of contacts. In doing so, you are allowing them to call and appear on your screen whenever they call using their Amazon Echo product. This might come across as invasive, but Amazon has specific precautions to make this feature more user-friendly. For example, when someone drops in, you’ll hear a specific sound that indicates that someone will appear on your screen shortly. After that, both of you slowly fade into a video call. If you are busy or unable to take a drop-in call, you have the option to say “Alexa, hang up” and the call is dropped immediately. Alexa’s responses are very loud and clear. She responds to names that even slightly resemble Alexa including Alaina, Allega, Alisha, Alfonso, Emilia, and even Excedrin, so you won’t have to worry about remembering her exact name. As highlighted in the Saturday Night Live video, the “uh-huh” feature is specifically designed for seniors. This is a response that occurs if you’re a storyteller or tend to ramble on about certain topics. Users can pair Alexa to smart devices like the thermostat so you don’t have to get up so frequently. She has a scan feature to help you find lost or misplaced items. Alexa repeats herself for extra clarity and speaks up if you are having trouble hearing her responses. 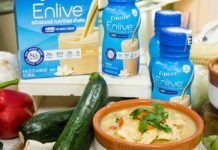 The only way to order this product is with a check or money order. Alexa sends an email to the families or caregivers of seniors to confirm which medications were taken and at what time each day so that they can track their care. Setup is easy and the device is fairly easy to use. 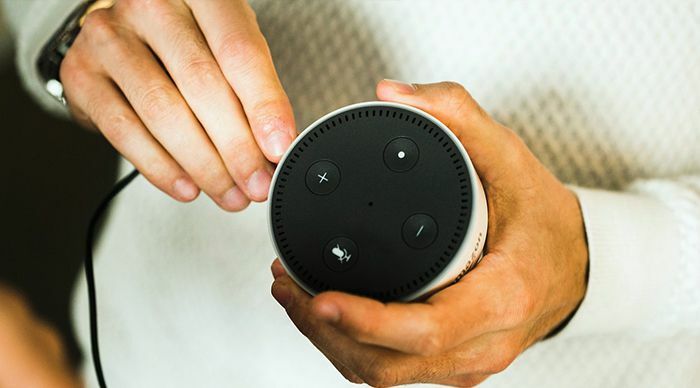 Echo’s ability to communicate and recognize language improves over time because it receives its voice-recognition technology directly from Amazon’s servers. Compatible thermostats, oven controls, and lighting controls. The microphone and sound system have optimal clarity and sound quality. Without internet service, Alexa will not work. Alexa might struggle to understand other voices, accents, or infections. Even though the new Echo Silver is convenient and helpful, it does not have the knowledge base that other services like Google provide. Sometimes Alexa is temperamental and the service shuts down sometimes. 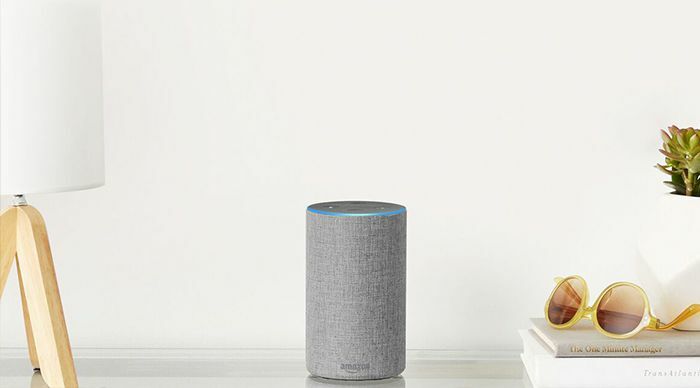 The only things you’ll need to set up Echo is a WiFi connection and a smartphone, tablet, or computer. After the initial setup, Alexa will only rely on WiFi. Connect your device to wifi, and then open the app store and search for the free “Alexa app”. If you are using a computer, use the Amazon Alexa Website to download the app. Make sure that the device you’re using to start up Alexa is iOS 9.0 or higher, Android 5.0 or higher, or Fire OS 3.0 or higher. Plug Alexa’s power adapter into a power source. 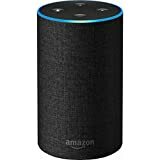 Within less than a minute, the device turns orange, indicating that Alexa is being activated. Finally, you’ll hear Alexa talking and she will start to walk you through the set-up process. Using the app, you will need to connect Echo to Wi-Fi. Start by saying the trigger word “Alexa”. At this point you can change the trigger word by saying “Alexa, change the trigger (or wake) word”. As previously mentioned, you can only change the trigger word to “Echo”, “Amazon”, or “Computer”. Makes calls and send messages. The Amazon Echo Silver provides a wealth of knowledge, guidance, and safety features to seniors. Using new and specialized technology, this simple device is user-friendly and will be a great addition to any home. Stop worrying about elderly family members or loved ones, and introduce the Amazon Echo Silver to them for easier and more convenient living. The Amazon Alexa devices use your voice to make your life easier and convenient. It can answer questions, order you some pizza, help you communicate with other people, create a list for you, shop online and much more.